Stressgen’s vision is to improve human health by creating a new class of immunotherapeutics, or therapeutic vaccines, that harness the power of the immune system to treat millions of patients with chronic viral diseases and cancer. AldenMC developed an animated mechanism of action that clearly defines the significance and proof of concept behind their CoVal Fusion Therapeutics. 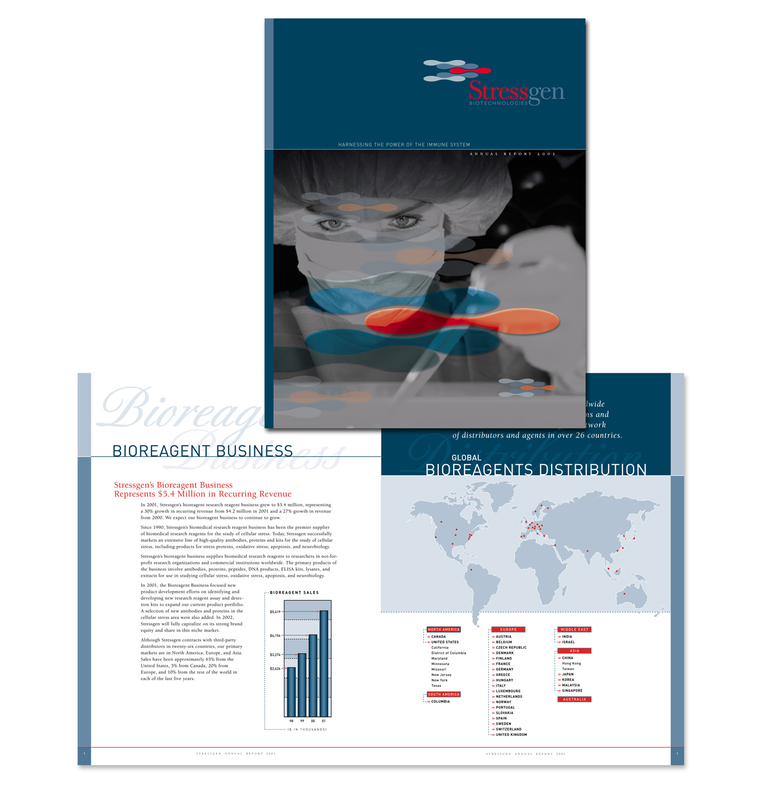 Other assignments included the design of their Annual Reports and Press Kit.